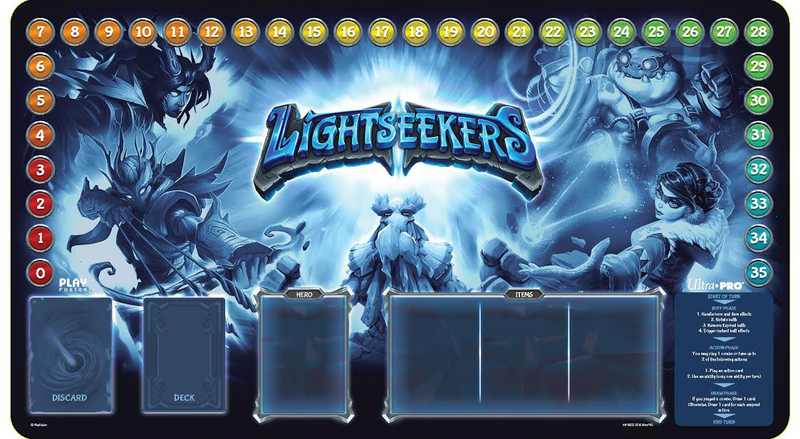 Lightseekers – Awakening. Published by Play Fusion, designed by Barney and Chris (surnames not known). 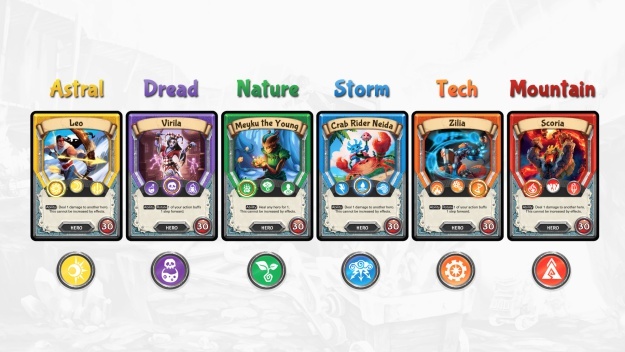 Over the last few months, I have reviewed the three aspects of the Lightseekers world. The card and app game and one of the toys. Click on the links if you want to read the previous articles. One of the major limitations when it came to reviewing the card game was only having two of the six starter decks (nature and tech, but missing astral, mountain, dread and storm respectfully). 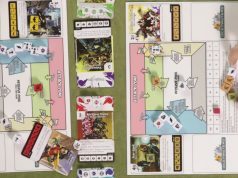 During my trip to the UKGE, I was given the all but the dread deck to review. Along side this two neoprene play mats and all of the metal health tracker tokens. I bought the dread starter deck before departing. I was also give a few season two booster packs. Combine this with the boosters that came with the starter decks and the toy, it meant I had a few cards to customise (and hopefully improve) all of them. This review will cover the upgraded components, the four other factions and the ability to customise your decks. The play mats we received. From the outset, if you can afford to buy the neoprene play mats, do! You will need two, but they are vastly superior to the paper ones that come in the starter decks. There are a number of designs too if you want different ones. 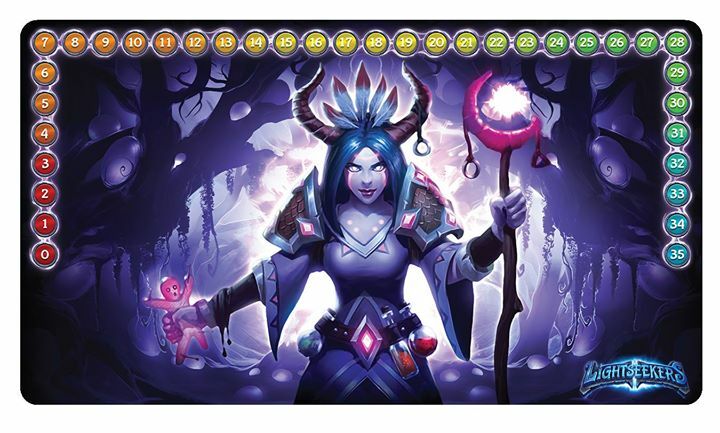 A play mat with spot for the decks, hero, items and a player aid. All of those are found their way into the recycle bin along with the flimsy stand-up figures. The only thing missing are the play sequence and spots for placing your hero, draw and discard deck. That is no big deal because it does not take very long to learn the turn sequence. I am glad they removed the areas for each buff in play. 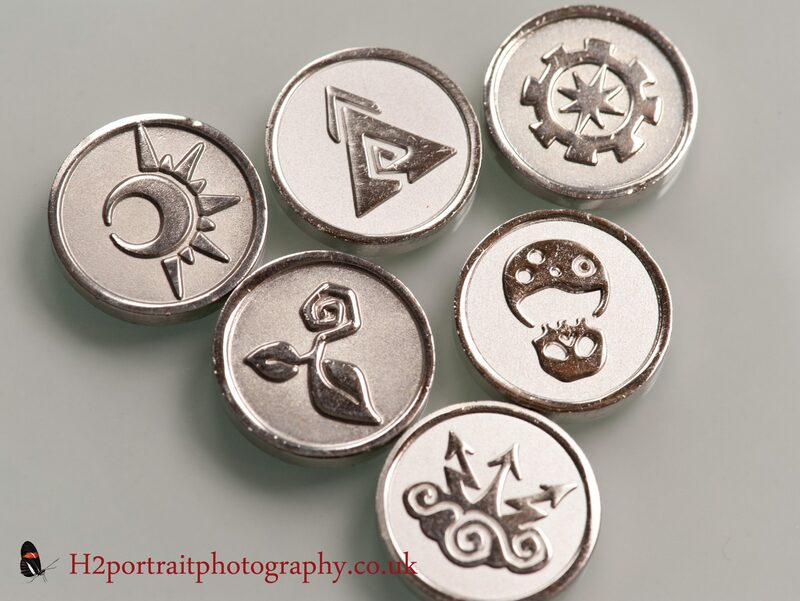 The metal health tracker coins for Lightseekers. The metal coins are so much better. They are extremely high quality as they are engraved, weighty and thick. They also make a satisfying clinking noise when you tap them together. There is one for each faction. They are used as your health marker on the play mats. I hope Play Fusion bring out a means of storing all of gear for the card game. I put the sleeved cards in three deck boxes as I have two different starter decks for tech. The play mats ended up in a poster tube. It would be great to have an all inclusive container especially if you are transporting it to your gaming group or putting it on your gaming shelf. The game would be lost if you took a shelfie. 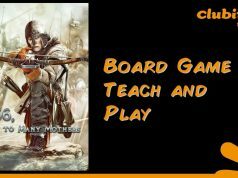 Before we proceed any further I must make this point, like most board gamers I have spoken to, I try to avoid collectible games. The only one I collect is Marvel and DC Dice Masters, even then I am not that bothered about having an incomplete collection (Dice Masters now releases expansion with predetermined content so you know what you are buying). I find they are bottomless money pit. One collectible game is quite enough for me and one too much for many others. Lightseekers is a trading card game and I have no one to trade with in my locality. I will not be forking out loads of cash out on boosters. The good news is, you do not have to! The starter decks are well balanced and the booster pack that comes in it can provide you with a few customisation options. I would buy at least three different starter decks (or the double starter deck pack and one other). I found after playing the nature and tech decks against each other a few times, I grew a little bored of the game. I received the game for review at the end of October 2017 and played it six times over the next few weeks. The next time I played it was early June 2018! Now I have the other factions, I can imagine that I will be playing it a lot more and trying to improve the decks and wondering how they will match up against each other. They all have a different play style. I will leave you the pleasure of working it out for yourselves. You do not have to customise your starter deck, they are fine straight out of the box also, I am hardly an expert when it comes to customising a Lightseekers deck as I do not have many extra cards. I did spend much of the nineties playing the Star Trek:CCG so I know a bit about customising decks in general. I have constructed a few from scratch. For the astral deck, I removed all but a few of grey cards. A number of their cards receive bonuses if the last card in your discard pile is one particular element (solar, lunar or gravity). If you want to capitalise on this having grey cards with no element on them is going to reduce your odds of triggering them. That is what I have done. I hope it helps! Changing your hero can help too. Some of them have better abilities than others. It can make a difference during the game and swing the tide of play in your favour. Sometimes the elements they can access will affect your choices. E.g. the ‘bone chewer’ card in the tech deck says, “3 damage. Increase this by 3 if you’ve played a Mechanical card this turn.” This card has a mechanical icon on top of it. 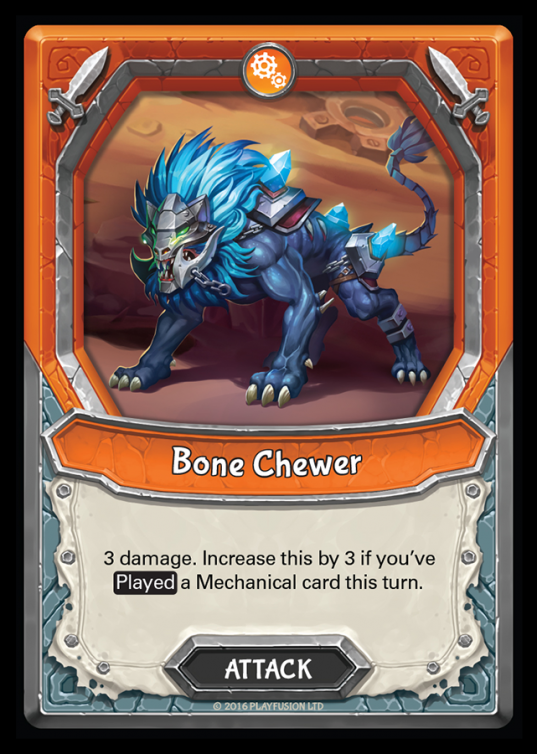 Unless your hero has superior mechanical level to play more than one mechanical card per turn the ‘bone chewer’ will not be able to deal six damage. It is an important factor to consider including cards like this one in your deck. If you choose Overseer Tuskrage as your hero, then you will have to customise your deck from scratch as he draws cards from Tech’s explosive and time elements and Nature’s forest element pool of cards. There is not a starter deck made for him or the other heroes that draw from more than one order. 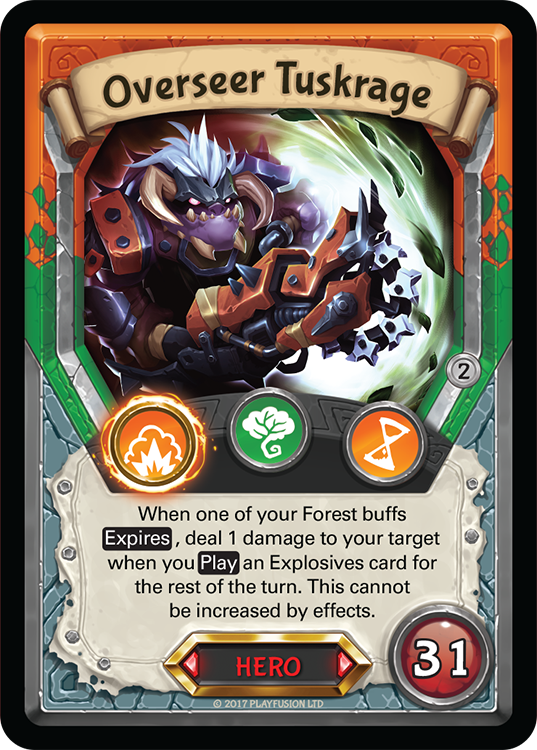 The upgraded components are something that will not change the way you play Lightseekers, but having access to more than two factions will. I can see myself playing this game once again and on a regular basis. I had forgotten how much fun it is. Unlike some games, playing a second round using exactly the same decks will not guarantee a duplicate outcome. It all depends on the card sequence and how player plays the deck. In one game you will crush your opponent and the next one you will lose and game will be close. Who will win a game is not a foregone conclusion. You may find you will prefer one particular faction’s play style, then play with one and see if you can optimise the deck with a few tweaks. It is worth learning a deck’s play style before moving on. It will not take long. 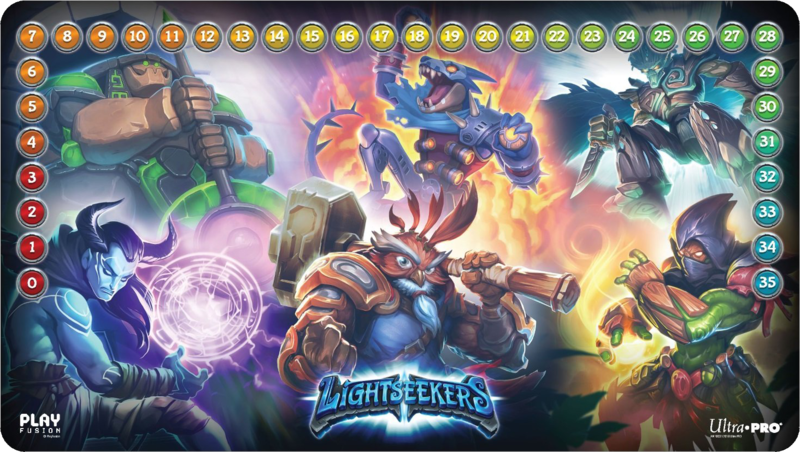 If you do like games where there is a steady flow of new content then Lightseekers is a game you will enjoy in this respect. A second season called ‘Mythical’ was released in March 2018 and I have a number of cards (they have a number two in a circle on the right-hand side of the card) plus more. A season three is on its way. From what they tell me, they will be introducing new aspects to the game over time. So that cards will remain compatible, you will find updated older cards in the new packs. I like this idea. From what I can see there is a new icon on the left-hand side of the card. I think it has something to do with the elemental types. There appears to be a Kreebal icon too. They would not tell me what it used for. We will find out in the coming days. Mechanisms – 5/5 no change. Value for money – 1/5 this has not changed either. You would have to spend over £100 for all six factions and that is before you upgrade the mats and tokens. Replayability – 3/5 now 5/5 having all the factions makes a huge difference plus being able to make tweaks does enhance the score to the max. Theme – 3/5 now 4/5. Having experienced all of the orders, they are consistent to their repsective themes. Many thanks to Jane, Barney, Chris, Alan and the whole Play Fusion events team who worked so hard at the UKGE. It was a pleasure meeting and speaking to you all! Please let us know if we made any mistakes rules wise. 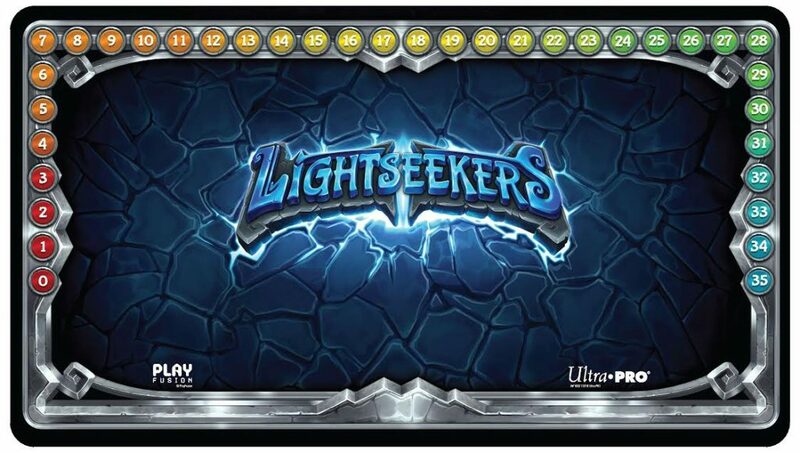 If you have played Lightseekers please leave your thoughts on the game below or ask any questions you might have. Cheers! 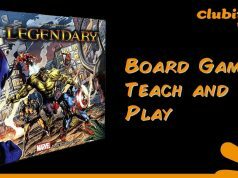 Previous articleUKGE – annual board gaming convention at the NEC Birmingham.